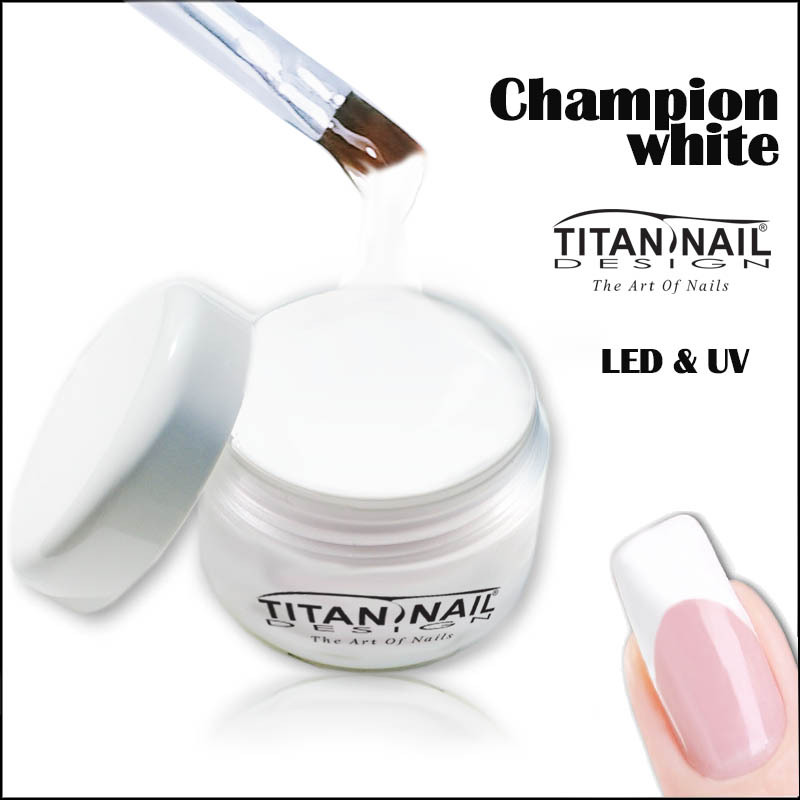 Champion White gel is a unique white gel due to its creamy texture. 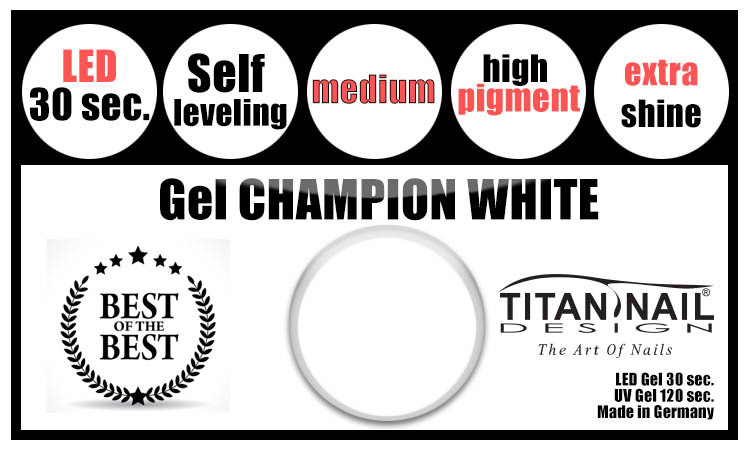 The Champion white can be used for tip overlays and free form sculpting. line and can also be used for building the nails. taper off towards the end of the nail. 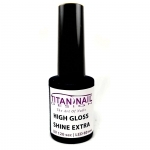 Place nails into the UV light and cure for approximately 2 minutes. 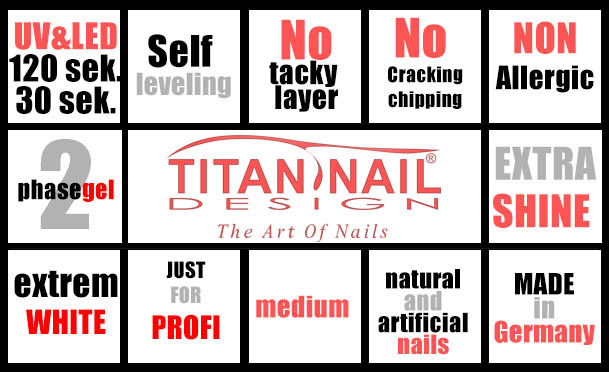 Finish the nails with a regular builder gel as instructed. The Perfect White Gel you ever had !